Want to turn photos of your sweet memories into beautiful canvas works of art? You will find exactly what you want right here at Superchrome. Printing photo onto canvas is one of our main services. With years of experience behind us, we take the privilege of introducing ourselves as a prime digital printing service provider. Our client list includes professional photographers and individuals. If you are a professional photographer, we can quickly make your best shots ready for showcase in galleries. Those who want to make the photos of their special event or moment a perfect piece of artwork can safely rely on us. Proven as a full service provider, you can expect from us all kinds of excellent solutions in printing photo onto canvas. Printing photo onto canvas is the perfect way to give your photo a grand look. To get your photo printed, you can send the photos to us through email or just upload it to our website. To live up to your expectation, we make use of the most advanced printing technologies to reproduce your photos onto canvas. Canvas materials with enhanced water resistance in various sizes and shapes are used to print the photos. 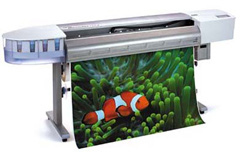 To make the photo vibrant, pigmented, water resistant and UV resistant inks are used for printing photo onto canvas. At Superchrome, we have an in-house framing and stretching department to give your photos the complete look. Photos are mounted on wooden frames. Thus, these will be ideal gifts to your special ones on their special day. Being a professional in the field, Superchrome has the potential to undertake any kind of challenge in printing photo onto canvas. Take the right move by entrusting your next photo printing assignment to us. You will be surprised at the wide range of unsurpassed services we are able to offer you at competitive rates. Our prints are delivered bubble wrapped if stretched and sent by Royal Mail. Contact us for quotes. We assure a fast turn over time of just two to three days. If you would like to know more about printing photo onto canvas, any of the projects shown or if you want to discuss any project you have coming up then contact us 020 7237 9333 or fax 020 7237 9444 or email sales@superchrome.co.uk. Our experienced personnel would be able to guide you appropriately.